Mark Reiff's Punishment, Compensation, and Law certainly is original. I intend this remark as high praise. Most books about punishment and compensation are maddeningly predictable and repetitive. They recite standard objections to familiar theories, add a new twist here or there, and defend an alternative no more plausible than those they reject. 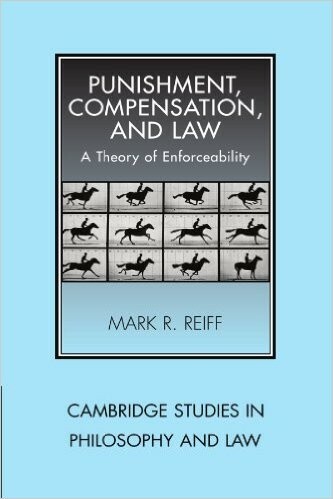 Reiff is doing something very different, and even those readers who have thought long and hard about the philosophical foundations of punishment and compensation will be challenged to come to terms with his ideas. 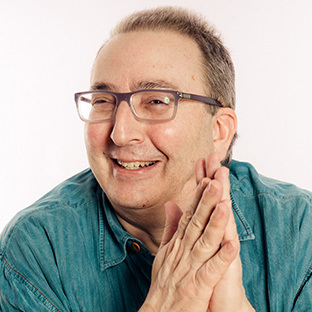 Since Reiff poses questions and provides answers that are new, any legal philosopher interested in these matters will be stimulated by his unusual perspective. Although I sometimes wonder whether there really is a single theme under which he can subsume each of the several topics he examines, Reiff unquestionably has taken a novel approach to many important but frequently unaddressed problems in the philosophy of law. . . Reiff has produced a valuable and original contribution to our understanding of whether and under what conditions given restraints can be said to be enforceable. Reiff, a lecturer in Philosophy of Law at the University of Durham, has written a tight, well-argued book that will appeal to readers who like roaming across diverse areas of law with a functional approach. A little game theory here, deterrence theory there, and some serious thinking about social sanctions and collective action problems make for very comfortable reading for someone familiar with, and confident in, the power of such ideas. The reader correctly feels in safe hands. The major contribution is an attempt to offer a unified theory of enforcement, and the central problems there are rights that appear to have no remedies, and the fragility of what might be called pre-violation social cooperation. The author is fairly optimistic about the role and power of nonlegal sanctions, and it is the integration of these sanctions into the analysis that is perhaps the most important contribution of this nice volume. Reiff’s book is as ambitious as it is important [and] as much a contribution to moral and political philosophy as to the philosophy of law. The book offers answers to three related questions: First, what means are available to enforce rules? Second, how do we determine how much enforcement is available for a particular rule in particular circumstances? Third, how much enforcement is enough for the rule to count as enforceable in those circumstances. Although Reiff’s answer to third question is by far the most important part of the book, his answers to the other two are both interesting and essential to his answer to the third . . . These are quite different questions from those any theory of punishment would suggest. That Reiff’s analysis suggests them is a measure both of the originality of his book and its importance.